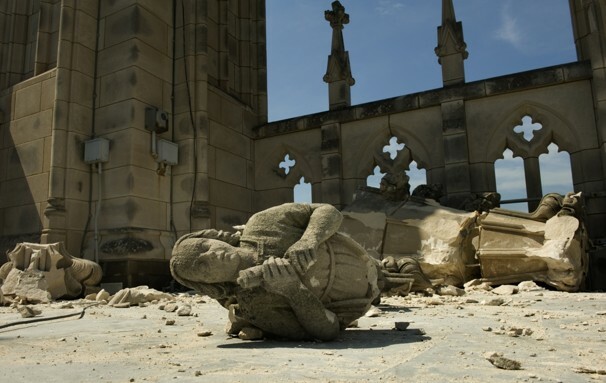 Coinciding with the end of Col. Gaddafi’s 42 year reign of terror, a 5.8 Earthquake rocked Washington D.C. this week, and the few notable damages were a fallen angel on the National Cathedral, the Pentagon, and the capstone of the Washington monument–an apt collection of signs, no, especially the symbolism of the damaged summit of the U.S? Anyway, we’ll soon see what all this portends, but before we begin our series on what awakening to the Tree-of-life reality may mean, depending on our level of consciousness, we’re going to repeat an article we published a year ago about the Washington Monument and more in particular its capstone. The monument at the core of Washington D.C. and Dan Brown’s book is the Washington Monument, which Dan correctly points out is 555 feet tall and has a capstone of 3300 lbs. Now anyone who knows anything about Hebrew knows that the monument resembles a giant letter (V) of numerical value 6. And the reason this is significant is that 555 x 6 = 3330 and that there are exactly 3330 years from the giving of the Torah at Mt Sinai and the second opportunity for the Tree-of-life reality in 2448 HC and the year 5778 HC (2018 CE), the year given by Rav Ashlag and the tzaddikim for the geula (final redemption) and the third reception window for the Tree-of-Life reality. Moreover, since the letter vav is spelled out VV, it has a numerical value of 12 as in the 12 inches to a foot, which makes the Washington Monument 6660 inches tall, and this is significant only because there are exactly 66.6 jubilee years (50-year Biblical cycle) from 2448 HC to 5778 HC (2018 CE). Furthermore, in 2018 CE we will be in the 115th US Congress, and we’ll also be in the 115th Jubilee year, counting as the sages do from Adam to 5778 HC. Now, had Washington D.C. and its buildings and monuments not have been designed by the Masons this might all be a great coincidence, but it would be very surprising that architects familiar with ancient gematria and the writings of the tzaddikim would not have incorporated this knowledge in their monumental works. Especially so, considering that the tiny aluminum capstone that rests at the apex of the Washington Monument weighs exactly 100 oz with 100 being the numerical value for Keter, the crowning sefira (dimension) at the apex of the Tree-of-Life. This in itself would mean nothing if the architect didn’t also know that 100 oz was 6.25 lbs and that 625 is the numerical value of “H’Keter (the Crown)” high atop the 555 ft tall monument. Or that 100 is the numerical value of the letter Caf (CP), the first and representative letter of Keter (CTR), and that CP can also be pronounced Cap, as in Capstone. Furthermore, gematria and Kabbalah scholars know that the letter Caf (C) has a numerical value of 20 and the Hebrew word for 20 (Esrim) has a numerical value of 620, the same as that of Keter. No one can say for sure that the Washington Monument was designed as a giant letter Vav or as the central column of the Tree-of-Life, but it does make a heck of a sundial and it is indisputable that the surface temperature of the sun is 5778 K, and that the final measure of the complete Washington Monument stretches figuratively from 625 to 555, for a span of 70, which is oddly analogous to the 70 years that span the statehood of Israel in the year 5708 (1948 CE) to 5778 (2018 CE). Who knows who knew what, but there are only 6.66 years left until 2018. 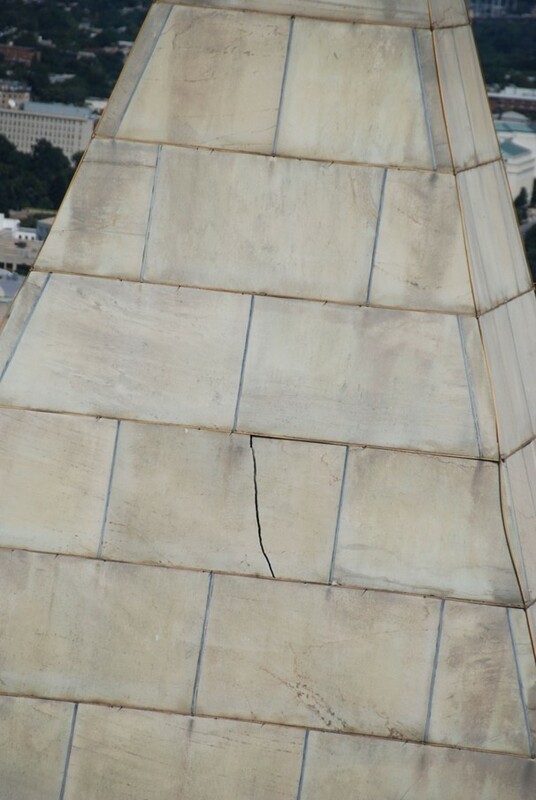 There’s more to the Washington Monument than we first revealed, but more important is what it connects us to as a metaphor: the central axis of the Tree-of-Life; the 42-Letter Sword of Moses; the 10 Commandments; and even Joseph’s Pyramid and the Future Holy Temple. It’s not as odd as it sounds and we’ll explain all these concepts and we promise we’ll then segue into them in subsequent articles with much fuller explanations. Since the Monument was built to resemble a giant Egyptian obelisk dedicated to the sun, let’s start with the word Cap, as in capstone, which is spelled (C-P). As per the Arizal, the letters CP are two of the revolving 7-letter sequence that connects to the energy of and spiritually controls the influence of the 7 planets CPRTBGD; they are the first two when it comes to controlling the Sun, whose surface temperature as we’ve previously noted is 5778 K.
Here is a secret about the letter Caf (CP). While its numerical value sofit is 820, the same as the all-important phrase at Vayikra 19:18, paraphrased as “Love thy neighbor as thyself,” Caf (CP)’s ordinal value is 28, making its’ complete value (820+28) = 848, or 2 x 424, the numerical value of Moshiach Ben David (the Messiah). Nevertheless, besides representing Keter(CTR), the crowning sefira and besides also representing the Sun, as explained by Abraham, the Patriarch in his Book the Sefer Yetzira,” , the letter Caf (C) when spelled out (CP) also spells out the word for palm, as in the palm of our hands. Thus our 2 palms obviously connect with the two 424’s, but they also connect with our 10 fingers, 5 on one side, 5 on the other, like the 10 sefirot, 10 Commandments on the 2 tablets, and like Abraham’s description, “5 on one side, 5 on the other, cleaved down the middle.” And the reason this is so significant will become clear once we examine why the 4 bases of the Washington Monument all had to be 55’ long. Meanwhile, the Zohar supports this revelation in that in portion Ekev it states emphatically that the palms connect to the 14 joints of the fingers and that there are 28 joints in both hands, which is the numerical value of Koach, power. Like the weight of the aluminum capstone at the tip of the Washington Monument (6.25 lbs) the ratio of its capstone (pyramidian) height to its base is also 34.45/55.125 ft = .625, reinforcing the image of the capstone pyramid as “H’Keter (the Crown)” of numerical value 625. It also connects it the Torah, whose square root of its total number of words, verses, and letters is exactly 625. Another very significant and telling ratio chosen by the Monument’s architects is given by the Monument’s height to its base is 555/55.5 ft = 10 for a ratio of 10 to 1, or inversely 1 ft of width for every 10 of height, a very steep angle indeed. More significant than its angle of inclination is its similarity of structure to another Keter that involves 10: The 10 Commandments. The 10 Commandments (Utterances) found in the 13 verses of chapter 20 (the numerical value of the Hebrew letter Caf) of Exodus consist of exactly 620 letters, the numerical value of the word Keter and of the Hebrew word for 20 (Esrim), an obvious allusion to the point the Israelites had reached as they were being offered the Tree-of-Life reality. Nevertheless, the similarity in structure is delineated by the 62 letter Yuds (of numerical value 10 each)­­—the first letter of the Tetragrammaton (YHVH)—for a total of 620 (Keter once again), meaning that 1 in 10 of every letter in the 10 Commandments is the letter Yud(Y) of numerical value 10. Like the 2 palms and the 2 sets of Tablets given to Moses, there are 2 recitals of the 10 Commandments in the Torah, for a total of 20, one in Exodus and the other in Deuteronomy. While the first has 620 letters, the second has 708 letters, with 708 being the numerical value of the Upper 42-Letter Name (the 42 letters of the 3 iterations of the spelled out Tetragrammaton (YHVH). We only bring up the 42 Letters because there are 42 Letters in the names of the 11 sefirot of the Tree-of-Life, the central column of which the Washington Monument may be a metaphor. And between the 2 recitals there are 130 Yuds(Y) with 130 being the numerical value for Sinai and for (Sulam) ladder. And while some say that 708 relates to 5778 and 5708, the year Israel received statehood (70 years before 5778 as prophesied in the Zohar 2000 years ago, there is a less subtle connection between 5778 and the 10 Commandments. The first set, found at Exodus 20:2 is located exactly at the 107007th letter in the Torah or the 107000th letter from the word Bereshit (“In the Beginning”), and 5778 is the exact sum of all the positive integers from 1 to 107. This obviously can’t be coincidental, and as divine confirmation the first 2 words of these 10 Commandments “Anochi YHVH (I am G-d)” have the exact numerical value 107, and they contain the first 2 Yuds(Y) of the 62, back-to-back right in their middle (ENCY YHVH). 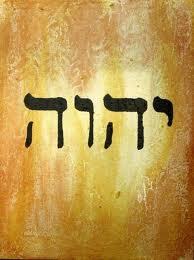 Moreover, these 2 words (I am G-d) have an ordinal value of 62. And by the way, the last word in the 10 Commandments has the newly revealed gematria sofit sofit value of 820, the same as Caf (CG) and of the singular Torah verse of unconditional love, as mentioned above. Thus the Monument can also be seen as a giant letter Vav(V), which in Hebrew is a vertical line, capped by the Hebrew letter Caf (C) and as any Kabbalist knows CV of numerical value 26 represents The Tetragrammaton (YHVH), the ineffable Name of G-d associated with the 6 sefirot (dimensions) bundled together and called Zeir Anpin, metaphorically the vertical pipeline from our world into the upper spiritual (Heavenly) one. And speaking of metaphors, while the Washington Monument is found at the edge of the reflecting pool at NW 15th street, the 42-letters Sword of Moses is found right after the crossing of the Red Sea (Yam Suf or End Sea) at paragraph 42 of the Book of Shmot, Exodus 15:11. Appropriately enough, the sword is tipped with the word and letter Alef, which is shaped like a X comprised of 4 component letter, 2 of which are the letter Yud(Y). If you look upon the monument as a 4-sided sword, you’ll see the X formed by the 4 angles at the top. There is one more monumental connection to make, of which there is no doubt the Masons were aware, for, you see, the entrance to the Great Pyramid (referred to as Joseph’s pyramid in the series of articles we began late last year and hope to continue with soon as a prelude to The Future Holy Temple) is 55 ft off the ground, and that pyramid too had a special capstone high atop of it. Furthermore, the ratio of the height of the Washington Monument to the Great Pyramid is precisely 15/13 or 1.1538 as in the 115 jubilee years from Adam to the year prophesied for the 3rd opportunity of the Tree-of-Life reality, 5778. And if you don’t think the architects of the Monument had some inkling as to what they were connecting to, please note that the perimeter of the capstone is 137 ft and 137 is the well-known numerical value of Kabbalah. Moreover, Moreover, the Base of the Great Pyramid is 13.7 times that of the Washington Monument, a giant Egyptian Obelisk. Furthermore, the resultant diagonals of the capstone are 77.85 (NE-SW) and 78 (NW-SE). Moreover, the dimension 55 ft (5 on one side, 5 on the other, cleaved down the middle) hides the secret of the ancient cubit needed for the building of the Future Holy Temple, and 555 of those cubits equals 1271, the year the Zohar mysteriously reappeared in Spain. And the Future Holy Temple will be 100 of Caf (CP) cubits high, once again connecting with Keter and that Capstone. Nevertheless, 555 ft = 242.18 cubits, and since the year 5778 HC is also the year 2018 CE, this year of prophesy is exactly 242 years after the founding of the United States of America in 1776. In the coming weeks we’ll be exploring in depth the various avenues brought about from the various metaphors and connections laid out above. 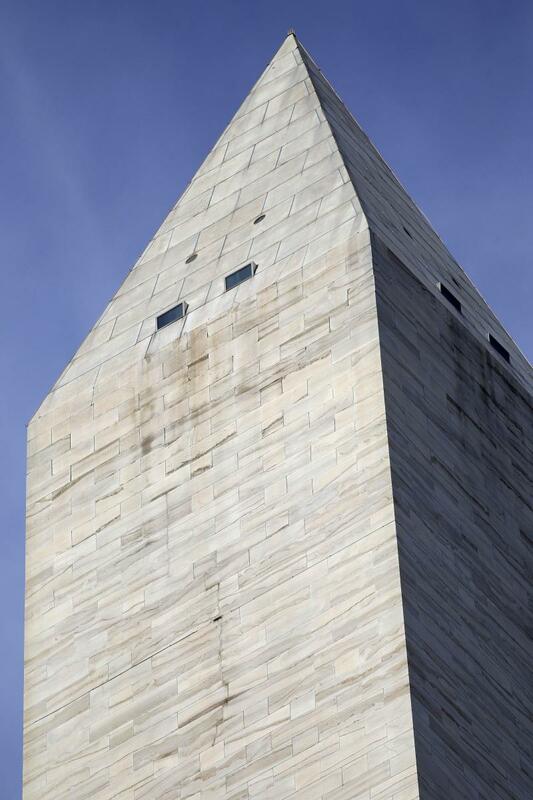 I don’t know if the Masonic architects of the Washington Monument were aware of what we’re about to reveal, but it was indeed part of its divine intent. It’s important that we understand this knowledge as a prelude to our passing beneath the hidden embossed Tetragrammaton (YHVH) at the secret entrance to Joseph’s Pyramid 55 ft off the ground. As discussed in our prior articles, each of the 4 bases of the Monument is 55 feet wide and the height of the capstone is also 55 feet, so if we multiple 55 times 5, for the 5 dimensions of 55 feet each, we get 55 x 5 = 275, as in the well concealed 27.5” measurement of the secret ancient cubit that is the be utilized in the construction of the Future Holy Temple. And what makes us think that this was the architect’s hidden intent? Because the entire height of the monument, 555 feet, is an allusion to that equation (5×55). There is a physics principle upon which the Torah (5 Books of Moses) is designed, and that is that energy is never lost, which means that in counting the sefirot from 1 to 10, we get 1+2+3+4…10, which sums to a total energy level of 55. So, once again , we have a possible monumental connection to the 10 sefirot of the Tree-of-life, and speaking of Moses, the numerical value of his name (MShH) is 345 as in the base of the monument’s capstone, 34.5 ft. Nevertheless, the entire perimeter of the capstone is 137 ft, as in the numerical value of Kabbalah, meaning “to receive,” and the perimeter of the entire monument is 220 ft. Together, 220 + 137 + 1 ft for the extra inches we rounded off in numbers above, equals 358 ft, as in the numerical value of Moshiach, the Messiah. Whether you want to believe there is a purposeful connection here to the energy of the Tree-of-life that will bring about Mashiach, you should note the follow figures regarding the Tetragrammaton (YHVH). 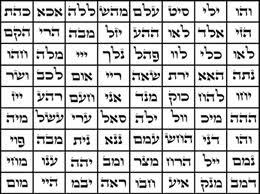 The YHVH has 4 letters, but when we spell them out, they expand to 10 letters and when we spell out the full 4 aspects (spelling variations associated with the 4 aspects of G-d) we get a total of 55 letters for these first two iterations of G-d’s ineffable Name), as in the four 55 ft bases of the monument. Then when we add the 3rd iteration (or spelling out of the letters in the 2nd iteration of G-d’s Name), we get a total of 220 letters, as in the perimeter, or total for the 4 bases, of the monument, 220 ft. Now, note further that 1 +2 +3 +4 = 10, and it all starts to come together. There doesn’t seem to be any coincidence in this design, nor in the fact that there are 42 letters in each of the 3 iterations of the 3 highest of G-d’s Names (YHVH – Av, Sag, and Mah) and also 42 letters in the Names of all the sefirot (dimensions) of the Tree-of-Life. Now, interestingly enough, the numerical value of “Washington” is 430, as in the 430 years of exile in Canaan and Egypt from the Covenant of Abraham in 2018 HC to the Exodus in 2448 HC, and of those 430 years, 220 were in Canaan and 210 in Egypt. The height of Joseph’s pyramid is 210 cubits and also 210 levels, while the perimeter of the Washington Monument is 220 ft. So we ask you, is this a great segue to the Pyramid, or what? Especially as we edge closer to the date prophesied for the completion of G-d’s Covenant with Abraham, 2018 CE. Tree-of-life reality to follow soon. Fish, Birds, and Frogs: What’s next? Are we reliving the 10 plagues as many fear? First the Fish died off by the 100’ooo’s, just as the Torah tells us that they did in the first plague when the Nile turned into blood, then the Birds fell from the sky by the thousands, except that the second plague is all about frogs, not birds. Or is it? If you want to be literal, it’s frogs. If you want to examine the word for frogs (TzPRDAYM), you’ll see the root of the word BIRDS hidden within (TzPRDAYM), Tziporim. 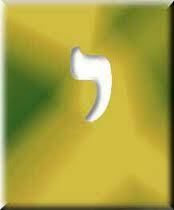 And which letters are left out, the Ayin and Dalet, the two extra-large letters that begin and end the 6 word verse that start of the Shema Ysrael prayer, which we’ve been discussing on our articles. These are the same two letters spell AD, a special word that is connected to the final redemption, but more on that soon. We can explain this, though, that AD is the Hebrew word for witness and that often when used in a specific phrase that also occurs in the 10 plagues, it takes the Torah completely out of historical context and is written in present tense, as if it were meant for us today. And in Shmot (Exodus 10:1), amongst other places, G-d explained to Moses that He hardened their hearts (Lev or numerical value 32) in order to be able to demonstrate these miraculous signs amongst them. Who was G-d demonstrating these signs for, if not us? Certainly the Egyptians didn’t need signs; they were living the freakish events and as G-d also explained to Moses, He could have wiped out the Egyptians at any time. So as we look deeper, we must view the events of 66.6 jubilee years ago as signs, warnings and previews to help us realize what is going on around us today. When G-d told Pharaoh through Moses that there would be frogs in 10 places what was He really saying? First, that they’d be in all 10 sefirot(dimensions), which makes no sense, right? Unless, we see the hidden birds, and unless we realize that birds are kabbalistic code for angels, in which case G-d is telling Pharaoh that there will be angels in all 10 sefirot, dangerous negative angels. To understand this, we must first know that there are 10 negative sefirot that correspond to the 10 positive sefirot of the Tree-of-life; theses are known as the layers of klippot, hardened shells that feed off of divine energy and block it from us. And secondly, we must recall that this 2nd plague was in response to the Egyptian sorcerers manipulating the 10 negative sefirot to mimic G-d’s handiwork (through Moses and his angels) with the Bloody Nile in the first plague. The proof of this extention is in the numerical value of the first plague, Dam (DM, blood), which is 44 and of tzefardim(TzPRDAYM, frogs) which is 444, and if the initials of the first 9 plagues, also 444. Also recall that no one, except the fish, died in the first plague. No one in the 2nd plague either, except the frogs. And by the way, no Egyptian died in any of the first 9 plagues. So if no Egyptian died, what was the purpose of the plagues. They were cleansing the influence of the 10 negative sefirot on our world, cleansing away the veils of illusion, which have once again grown thick and opaque with the filth and soot of our negative consciousness. And every time the negative pathways were hardened they became more fragile in order that they shatter, just as the Zohar explains they had done prior to Creation in the world of Tohu (Genesis 1:2). G-d was also specifically cleansing the negativity out of the Nile (216), removing the blood judgment and the negativity manifest by the negative angels, in order that the Nile would respond to the 216 letters of the 72 Names and split apart for the Israelites. 216 is the numerical value of gevurah, harsh judgment; in contrast, 72 is the numerical value of chesed, sweetened mercy, also known as loving-kindness. G-d didn’t create the negative angels, though, the Egyptians did. The negative angels were there all along in the Egyptian’s homes and lives; G-d just removed the curtain of invisibility. If we could see them today, even as frogs or birds, in our bread plates (kneading troughs) we’d freak out too. Yet, the Egyptians, so used to sorcery and so beholden to the spurious pleasure of physicality, didn’t freak out. Both they, and the Israelites, required 8 more plagues to wake up. 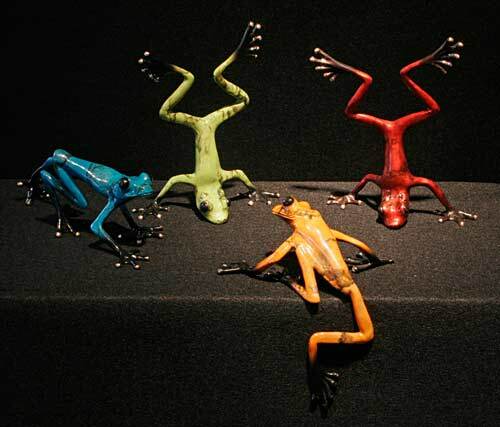 First the Nile turned into Blood and the fish washed up on the river bank, then the Frogs came out of the Nile. The name Nile has a numerical value of 216, as in the 216 letters of the 72 Names (triplets) that Moses utilized to split the Sea of Reeds. These Names were derived from the 3 consecutive verses of 72 letters each that describe the actual splitting of the sea in the Torah. 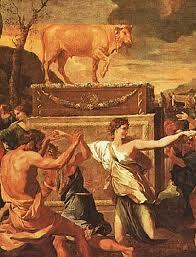 If you recall from Pharaoh’s dream, Pharaoh saw the cattle coming out of the reeds from the Nile. Could the Nile be the Sea of Reeds? The Bible says nothing of the Red Sea. But what does it all mean for us today? One, if we examine Rav Ashlag’s prophecy and the wisdom passed down through the ages, we see that the final period before Moshiach (messiah) and the final Redemption (Geula) was to last 444 years beginning in about 1573-4 CE (5733-4 HC), which means in 2017 – 2018 CE (5778 HC), this decade. Two, with the birds falling out of the sky these last few days the allusion is drawn to the angels falling out of the sky, not something we really want to see, is it? This is Wisdom: There is a specific pattern to the 10 plagues to make it easier to follow the events spiritually and physically. The first 2 plagues came from the element of water, the next 4 came from the element of land, and the final 4 came from the element of air. And the first 2 plagues affected and killed the fish and birds; the next 4 affected and killed off the animals and livestock; and following 2, (the 7th and 8th) wiped out in a 2-part whammy all the vegetation, while the last 2 plagues affected the people, plunging them into darkness and killing off their first born. But we must do more that watch for signs. If we want to reach the Tree-of-life reality beyond the world of limitations we need to reestablish our dominion over our world by taking responsibility for it and by cleaning out our consciousness ourselves, before it is done for us. Author Jeffrey MeilikenPosted on January 9, 2011 January 10, 2011 Categories RevelationsTags 10, 10 plagues, 10 sefirot, 2017, 2018 ce, 32, 44, 444, 5778, 66.6, 666, angels, ashlag, Bible, birds, final redemption, fish, frogs, geula, heart, jubilee years, messiah, Moshiach, Tohu, Torah, tree-of-lifeLeave a comment on Fish, Birds, and Frogs: What’s next? The Missing 222 Years; What is Time? Someone recently asked me why if some of the sages said Moshiach would come in the 6th millennium, did the tzaddkim say 5778; how are we to account for the missing 222 years. The concept of time is a difficult one to grasp. Sure, we can all watch the clock and measure out 24 hours in a day, but that’s a man-made measuring strategy, not a spiritual or universal one. A year is just the measure of time that the Earth journeys around the sun. So what’s a year in another Solar system? And how is either of those measuring strategies relevant to a Martian? Einstein brought us space-time, in which time could be bent and stretched like an elastic sheet with a heavy rock placed on it. Meanwhile, Rav Ashlag explained the kabbalistic approach to time in that spiritual time is measured purely in distance, and distance is measured in similarity of form. Confusing? What makes time so hard to grasp is that we view it from a very limited perspective, one concretely anchored in the world of Malchut (of matter), and we NEED it to be fixed in order to make sense of our world. But imagine for a second, if you could let go of all that and allow time to become elastic for you. Imagine the ability to stretch or shrink time at will, to make a single hour long enough to accomplish everything you need to do in a day, a week, or even a year; imagine how far ahead of the game you would be then. It would be like being in two, or ten, places at once. You could hit a ground ball and be rounding third even before it got to the shortstop because it would be stretched only from your perspective, not his. Think of all the lives you could save and mizvot you could do. Alas, very few of us possess this ability. Only a very few of us have restricted our physical nature so completely that we’ve achieved the level of mind over matter where we can choose our own reference of time. Nevertheless, if you’ve recited the Ana B’koach while trying to accomplish something difficult or seemingly impossible (see The Genesis Prayer) you’ve probably seen time and reality shift before your eyes. I know I have. So I know first hand that time can be stretched and bent and that Einstein’s theory is real in more than the abstract sense. Scientists and pragmatists in general have a very hard time with the concept of a Creation that limits our existence to 5771 years. They have all the proof their eyes can show them that the universe is 13.7 billion years old and that it’ll last a few billion more give or take. So for arguments sake, lets say the universe is 13.7 billion of our “limited time frame years” old, so what? The Zohar tells us the Torah existed for 2000 years before Creation and it never said how long those years were in our time-frame. Moreover, our time-frame and thus our fixed calendar wasn’t established until the sun and stars were set in the 4th day. Again, according to the Zohar and the Arizal, the Torah existed in a permuted state that allowed for complete potentiality prior to its fixation which began with the Bet of Bereshit in verse 1:1. Yet even with the Beginning, only Zeir Anpin and Malchut, the lower 7 dimensions, corresponding to Heaven and Earth were fixed. Prior to then, all was pure energy, known as Light, the force ultimately responsible for directing matter and thus life, but also the force we can still feel a million times removed, as love. Those 2000 years could be billions from our limited perspective and they are really more like infinity if the truth be told. Nevertheless, according to the structure of the Tree-of-Life, all energy(light) is stepped down or diminished in form increments of 10 times, making each level 1/10th that of the level (sefirot or subsefirot (dimension) above it. Thus on the 1st Day of Creation another 200 spiritual years past, and on the 2nd day, 20 spiritual years past, and on the 3nd day, 2 more spiritual years past. Thus by the time the Sun was fixed in the sky in relation to the Earth, 2000, 200, 20, and 2 or 2222 years had past spiritually. Once the sun was fixed, the Earth could complete a trip around it and thus our reference point changed. We were no long surging through infinity, connected to everything and nothing at once; we were separate and isolated. We aged 1 year from our limited point of view with every encircling of the Earth around the Sun. We could track it with shadows and set a calendar to it. Then there’s Adam and Eve, and Noach’s 2 at a time menagerie, Cain and Abel, Isaac and Ishmael, Jacob and Esau. They are all part and parcel of same spiritual concept. Then two more days past, equivalent to 2 months and 2 days and Adam was created, and our calendar officially began, and so too the countdown to 5778 as prescribed by some of the tzaddikim. The 5778 + 222 years gives us the 6 millennium, and completes 6000 years, or in gematria, the 6 alephs (elephs/thousands) that appear in the first verse of the Torah, thus establishing Heaven (Zeir Anpin). The 6 alephs are in every word except H’Sham’im (Heaven), reinforcing the point. The also alternatively total 666, which will be relevant in a moment. According to the Zohar then,there are a total of 2000 + 6000, or 8000 total years until the geula from the true beginning, though as we’ve discussed not all of these years are of the same length, and the number 8 always connects us to the higher sefira (dimension) of Binah. Nevertheless, the 222 years are above (spiritual), and kabbalah teaches us that what happens above gets reflected below, so we should also account for 222 years in our world, and we find them in the time of our Patriarchs. We know that the Covenant of Abraham occurred in 2018 HC and that the Torah specifically tells us the exile in Egypt would last 430 years; that takes us to the year 2448 when the Red Sea was split and the Torah (tree-of-Life) was received at Sinai. But the Torah also tells us the Israelite left Egypt 210 years after Jacob and his 70 family members entered. 430-210 is 220 unaccountable years, and they are considered to be the 220 of exile in Canaan, part of the full Egyptian exile. Jacob is the key. He promised to tithe to G-d and then worked for 22 years. According to the Ari, Jacob was an incarnation of Adam and worked most of his life to rectify the sins of Adam. As is said by chazal; Adam (ADM) stands for Adam-David-Mosiach and while David’s life falls at the exact midpoint (2889 HC) from Adam (0) to 5778, by tithing those 22 years Jacob saved us 220 years, and completed the full 6 millennium for us. Now we are ready to understand how Rav Yehuda Halevi Ashlag and the tzaddikim arrived at the same date of 5778 for the geula and the 3rd opportunity for the Tree-of-life (endless) reality. According to the Arizal, there is a deep kabbalistic understanding that the upper 1/3 of all and of any of the sefirot are oriented upwards toward G-d and the higher spiritual realm, and the lower 2/3 of them are oriented downward to the self, to our physical world. That is 1/3 = .333 and 2/3 = .666. 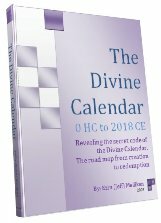 Before we explain Rav Ashlag’s computation, please note once again that there are 66.6 jubilee years between the 2nd tree-of-life opportunity (the reception of the 10 Commandments and the Torah) in 2448 HC and the year 5778 HC (2018 CE. This is 3330 of our normal years. Rav Ashlag separated the 6 millennium (6000 years) into those years dedicated to G-d, and those to the self, thus 2000 and 4000, respectively, giving us a base of 4000 selfish (malchut) years and 2000 years left to purify once again. So taking those 2000 years, then separated them into 666.66 (667) and 1333.33, he came up with a total of 5333.33 base years and 666.66 years left to purified further, which coincidentally coincided with the birth of the Ari, of blessed memory. These final 666.66 years he purified once again into 444.44 base years and 222.22 spiritual ones. This left him with the year for Moshiach at 5777.78 and with the 222.22 spiritual years that as we’ve seen above reflect both the spiritual years before Adam and the completion of the 6th millennium. So we’re now comfortably at the full 6000, and according to chazal there will be a 1000 year Shabbat (7th millennium) and then another 1000 year period (forever) of limitless existence, corresponding to the 8th millennium, for a total of physical and spiritual years on this side of Creation of 8000. If we add that to the 2000 years the Zohar tells us the Torah existed in limitless form before Creation, we have a total of 10,000 years, 1000 years for each of the 10 sefirot: 4222 spiritual ones and 5778 physical ones, or 42% and 58%. I guess it’s no wonder the 42-Letter Name of G-d is key to Creation and to the geula (final redemption), as advised by chazal, and that the 5-8 combination 58, 58, etc) and ratio (5/8) is central to the structure of the Torah, or that the complete gematria sofit value of the 42-Letter Name is 5778. Nevertheless, we were discussing time, and we can look at our 5778 physical years as the bottom portion of a bowl, or better yet, of a tall narrow vase with steep side. To us at the very bottom, time and the passing years appear flat like the earth, but we know that the earth is round and curves at any horizon. In reality, time does as well, and the curve gets steeper before and beyond the 5778 year period that is soon ending. At 7 years away, we are still too far away to really see it, but I suspect that soon the curvature will come into view. As illustrated above, the first 2 seconds will be as 20; the first 2 minutes will be as 200, the first 2 hours as 200o, the first 2 days as 20000, the first 2 months as 200,000; and the first 2 years as 2 million; and the first 20 years as 20 million; and the first 200 years as 200 million, while the final 1000 and 2000 will be nearly infinite. You may feel that in the past 60-70 years time has felt as if it’s speeding up what with planes, and rockets, and satellites, and the advent of the telex, facsimiles, cell phones, email, instant messaging, texting and tweeting, but we’re only approaching the event horizon; things will really speed up in the near future. As time speeds up science and spirituality will converge. Already, scientists have settled on the 10-dimensional structure of the universe, the same as the ancient kabbalists and Abraham back in 2018 HC when he wrote about them and the 22 building blocks of the universe. 2018 CE is fast approaching; it’s time we all catch-up. No one should be left behind. 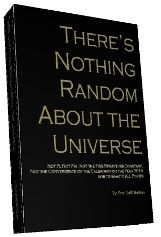 Author Jeffrey MeilikenPosted on October 10, 2010 October 12, 2010 Categories RevelationsTags 13.7, 13.7 billion, 137, 14, 2, 2018, 2018 ce, 210, 22 tithing, 22 years, 222, 23, 2448, 333, 3330, 42-letter name, 430, 444, 5778, 5778 K, 6 millennium, 6000, 66.6, 666, 7 years, Adam, Ari, arizal, ashlag, Bereshit, chazal, Creation, earth, Einstein, energy, exile egyptian exile, gematria, Genesis, genesis prayer, haeven, jubilee, king david, Mashiach, matter, messiah, Moshiach, Rav Ashlag, Sun, time, Torah, tree-of-life, tzaddikim, Yehuda Halevi Ashlag, zeir anpin makchut4 Comments on The Missing 222 Years; What is Time?